This is a recipe I adapted from “Jazzy Things.” I saw her post on Instagram and had to try it out. 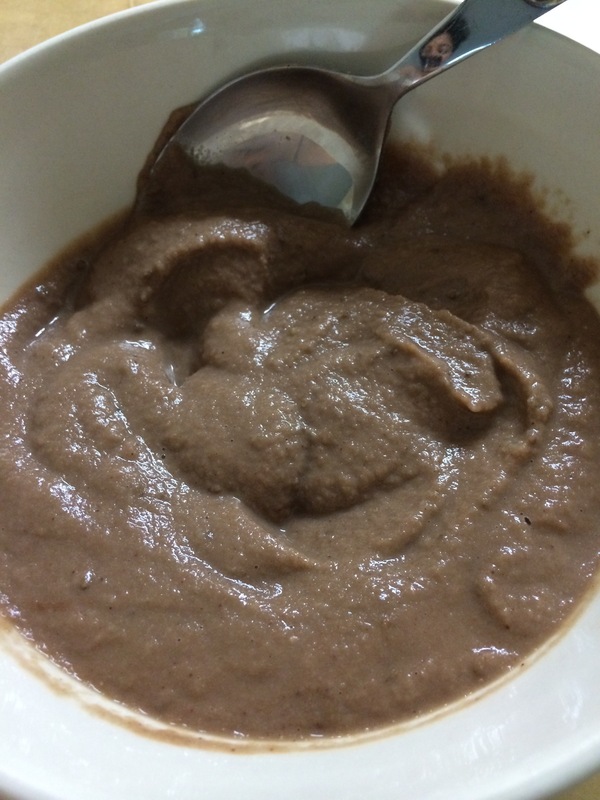 Her recipe included almond milk, cocoa powder, & coconut stevia. I used about 1/4 cup of almond milk, 2 tablespoons of cocoa powder, 1 teaspoon of vanilla extract, 2-3 teaspoons of chia seeds, & 20 drops of normal stevia. Not only was it delicious (you can’t taste the cauliflower at all), it is a great way to incorporate veggies into your diet.